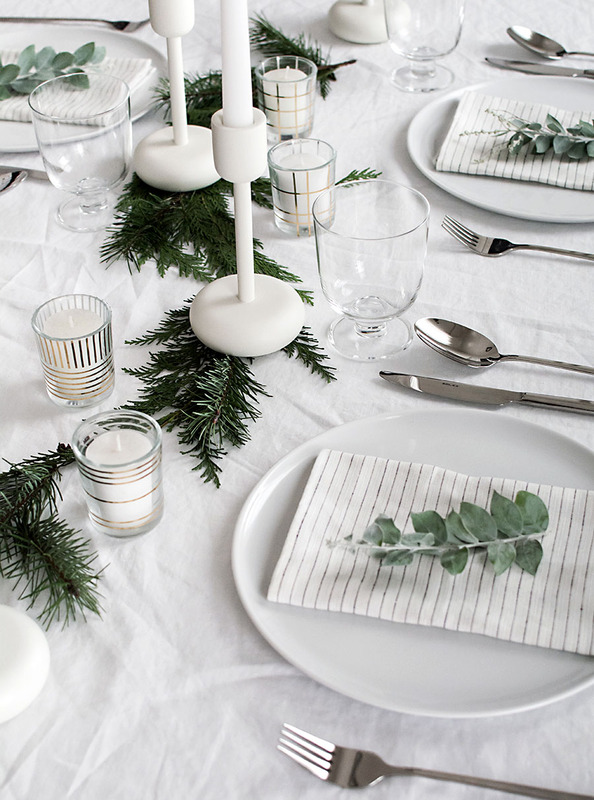 Next to florals, candles are what I need to happen on a tablescape. 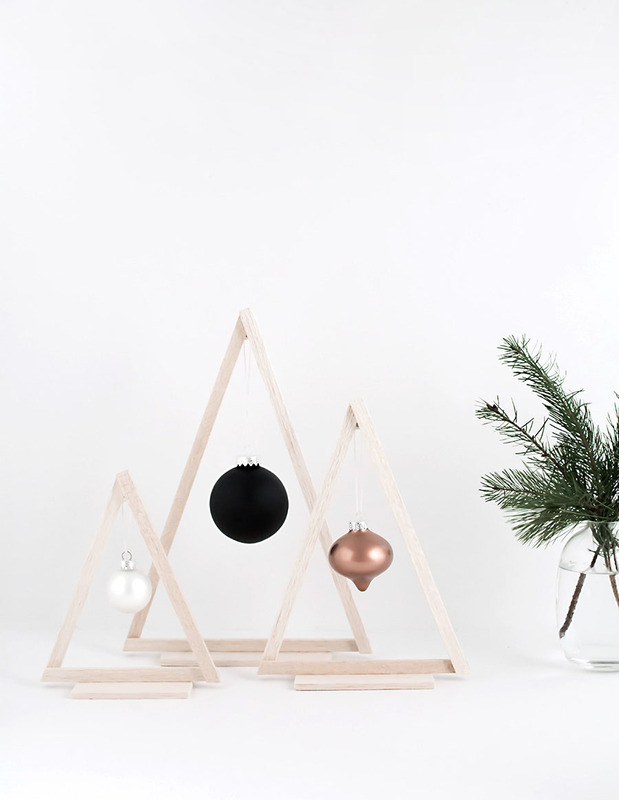 They are the simplest thing that makes things fancier, though of course we can make them even fancier with this DIY that’s a good example of small details making a big impact. We love that around here, yes?? 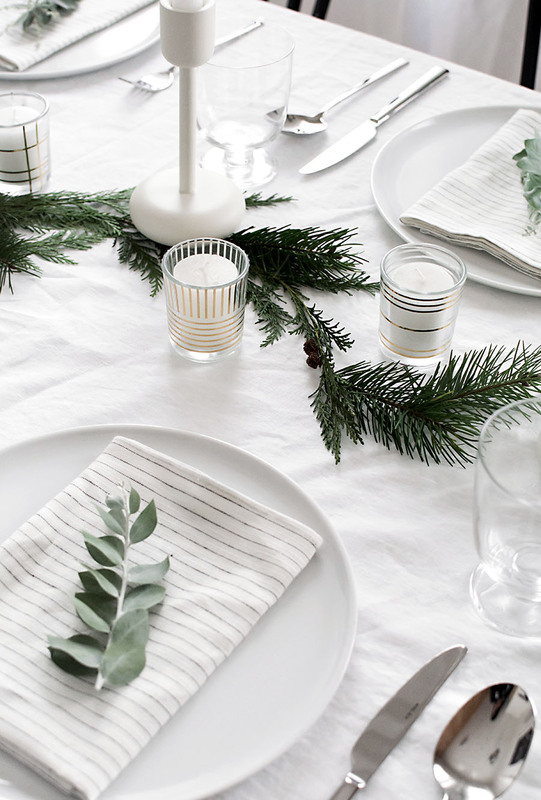 We’re going white, green, and gold for the table this Christmas and easily every Christmas since this is a combo that is guaranteed to slay. 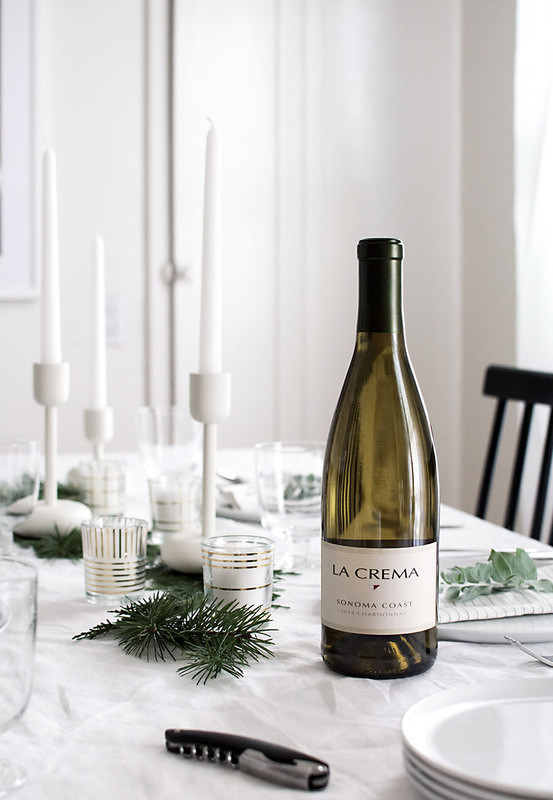 I’m keeping it fuss-free by passing on the traditional centerpiece and letting the candles do the work, bumping them up just a bit with these modern gold designs that I partnered with La Crema Winery to share with you on how to create! 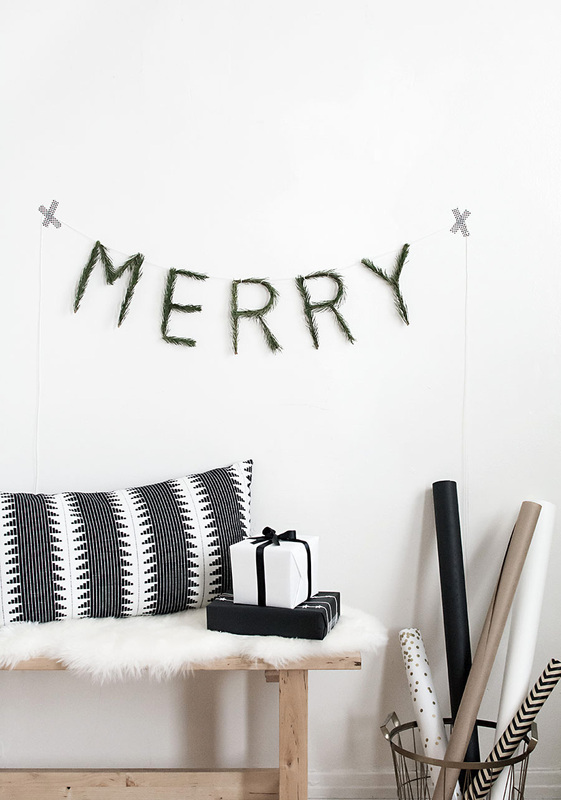 See the DIY over on their blog here. Just beautiful! 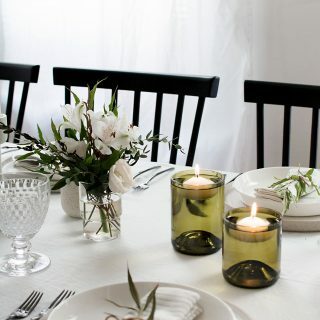 Can you share where you purchased the tall white candle holders? I think this would be a beautiful setting for my son’s wedding luncheon. Oh I love them, so pretty. This is such a pretty DIY project! I’m curious what camera do you usually use to make photos like these? I’m struggling with indoor photography even with my DSLR. Thank you! Thanks, Lena! I use a Nikon D5200 with a 35mm lens. I also wrote a post about my photography gear here. 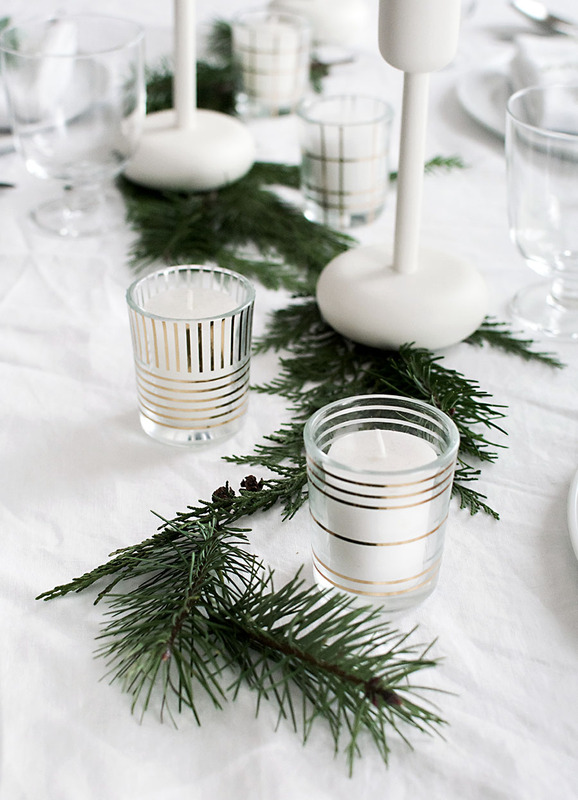 Amazing tutorial for build our own patterned candles. I’ve shared your candle on my Blog. I hope you like it. I love the clean lines of this styling. 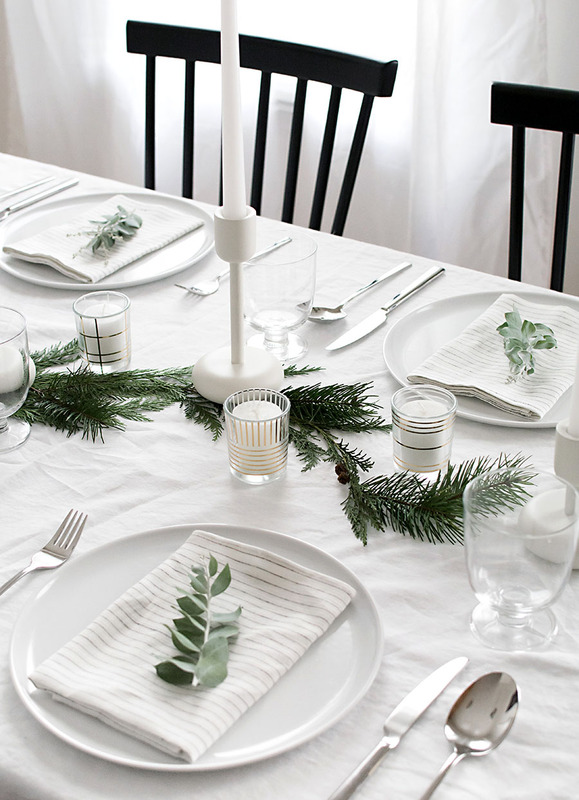 Could you share where the plates are from? Hi Sarah, they’re the New Norm plates by Menu. These are gorgeous! Do you mind linking the tape you used? Thanks so much! !